E3D presents a wide-ranging portfolio suitable for conventional, biological and biosimilar drugs, from disposable auto-injectors for prefilled syringes and vials to mechanical and electronic reusable auto-injectors. E3D focuses on your needs, offering its expertise, state-of-the-art equipment and advanced production systems for customized products that meet your exact requirements. Our highly automated processes combine sophisticated equipment with superior facilities to ensure production of consistently high-quality products no matter quantity. Innovation is at the heart of E3D’s strategy. 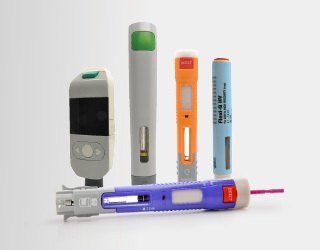 Our experienced engineers and expert technicians are highly trained and motivated to bring new ideas and unique technologies for auto-injectors.